Andrew Lloyd Webber’s 2004 flop has been reinvigorated in Thom Southland’s revival at the Charing Cross Theatre. 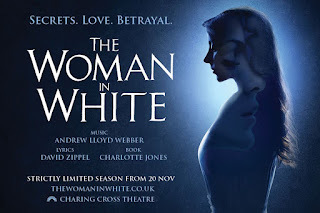 Condensed from its original three-hour length and with a set design more evocative of the nineteenth century from which the story was born, it is a pleasant evening at the theatre but has lost the intensity of Wilkie Collins’ novel on which it is based. The action revolves around a trio of women – Laura Fairlie, Marian Halcombe, her elder half-sister, and the mysterious woman in white. Percival Glyde and Count Fosco work together to trap Laura and gain her fortune. Laura is encouraged into marriage with Glyde despite her love of the drawing tutor Walter Hartwright. 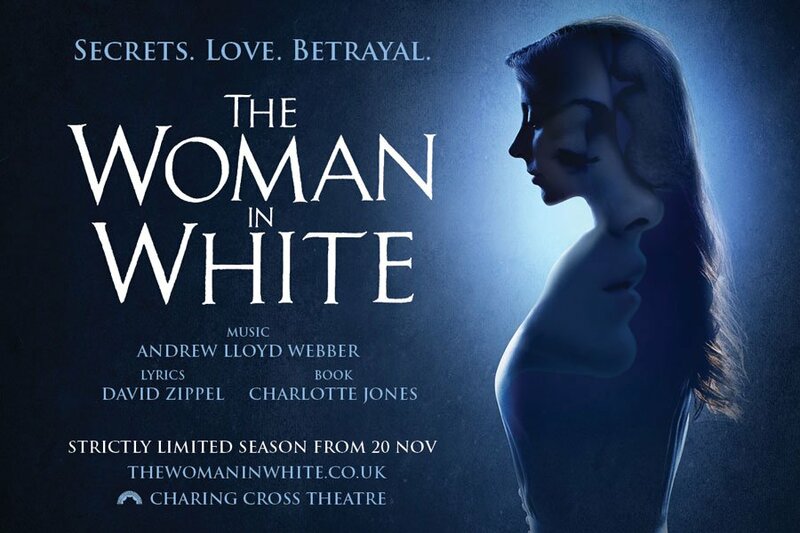 A mystery unravels before us as they try to save Laura and discover the secret of the woman in white. Glyde portrays none of the charm apparent in the novel, instead being harsh and abusive almost instantly. His accomplice, Count Fosco, is not as sinister as the original and indeed provides comic relief in Act Two with his rendition of You Can Get Away With Anything, skillfully delivered by Greg Castiglioni. The performers are at the top of their game, seemingly breezing through the more challenging vocal elements. I felt. However, that I was constantly waiting for a signature Lloyd Webber showstopper that never quite materialized. There were familiar strains in some of the songs but they were overall forgettable, however skillfully delivered. The costume and set design are again not to be faulted, making the most of a small performance space and successfully transporting the audience through the scenes with minimal set changes. The production overall seems to have lost the mysterious, disturbing heart that makes the novel such a joy to read. The characters and plot are subdued to feel more like a saccharine period drama. An inoffensive, well performed piece of musical theatre that is unlikely to inspire many repeat viewings.